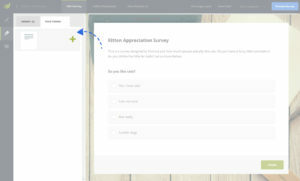 To create a new theme, make sure you are logged in and then click on the “Design Survey” button on the Edit Survey Side Bar. This will take you to the area where you can change your survey theme. On the left side you will see the Theme Panel. Switch over to the “Your Themes” tab and click on the New Theme option with the “+” . 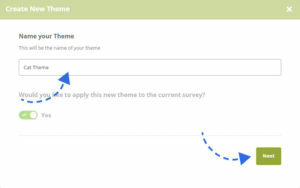 After you create your theme, the Theme Panel will slide to the left, revealing the Theme Settings. Here you can change many options to style your theme the way that best suits your corporate design or personal taste. You can change the colors of the texts, navigation, progress bar, as well as upload a custom background image. There is an Overlay Brightness slider that will allow you to apply a dark or light overlay on top of your background image. This is great when you have quite a noisy background photo, applying a dark overlay on top will make your questionnaire stand out better. 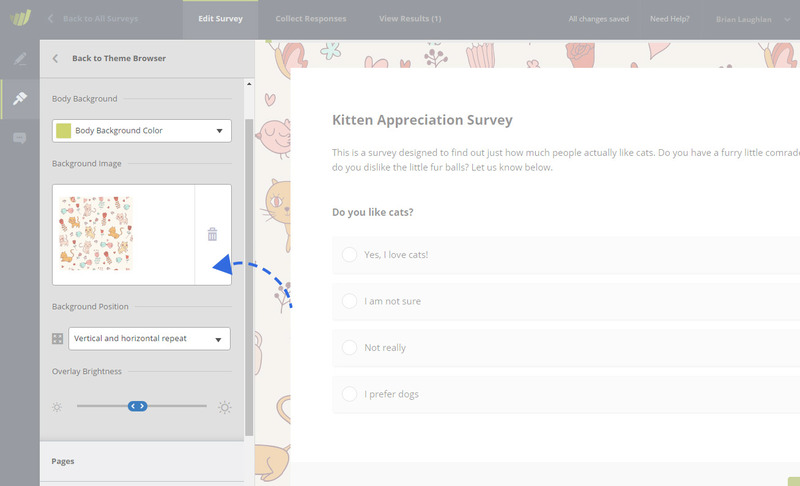 Any changes you make in the Theme Editor will be automatically saved so be careful if your online survey is already collecting participants. Congratulations! You have now created your first custom theme! 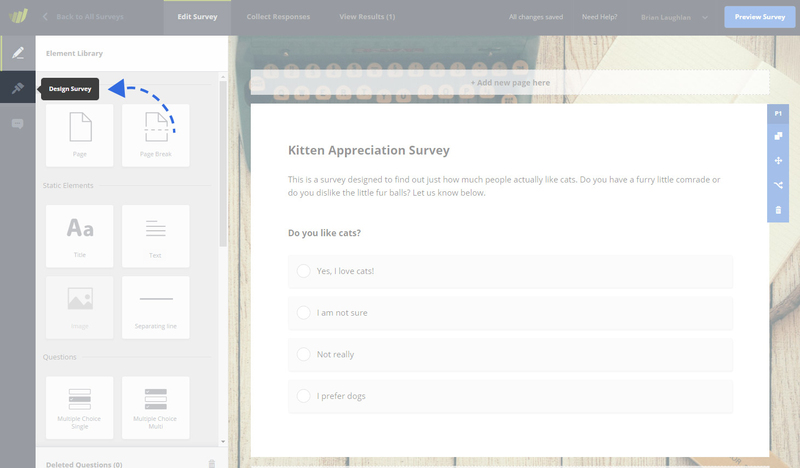 Custom themes are a great way of expressing your style within your questionnaires. You can create as many different themes as you like, there are no limits. Depending on your layout requirements, our default settings might not give you the flexibility you need. 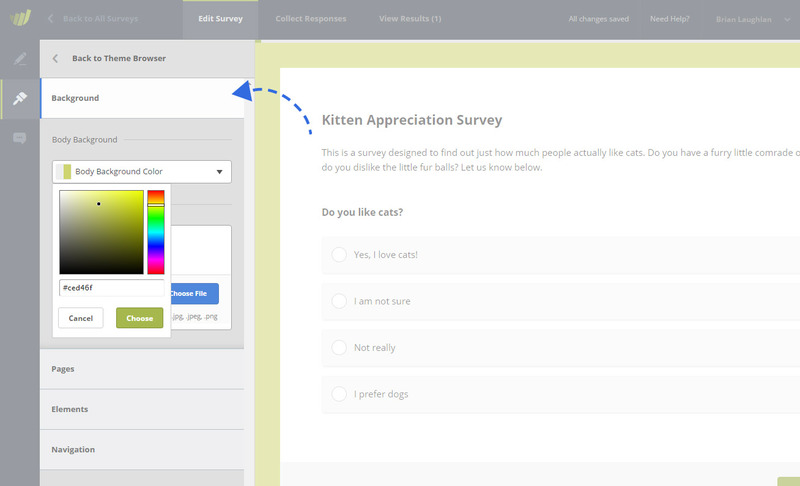 In such cases, your web-team can add their own custom CSS to fully customize the look and feel of your surveys.